Wet Cylinder Liner, made of grey cast-iron, ought to have desired casting and machining qualities, viz. strength, toughness, hardness and wear resistance. These are mainly of two types – Dry Liners and Wet Liners. We are highly acclaimed in this industry for providing an optimum quality range of Wet Cylinder Liner . 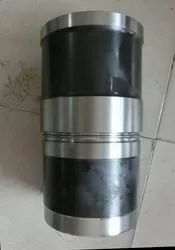 We manufacture and export both types of Cylinder Liner; Wet Cylinder Liner (Liners) and Dry Cylinder Liner (Sleeves) for all type of Engine such as Trucks, Tractors, Cars, Compressor, Generators, Earth Mover Engines and many more. We are specialist in producing the liners as per given specifications and drawings as per customers requirement. We have reached the pinnacle of success and earned a reputed name by providing high quality range of Wet Cylinder Liners. 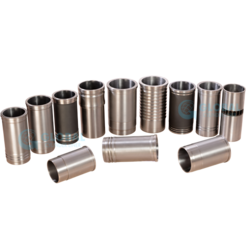 With a firm commitment to quality, our organization is involved in offering a wide ambit of Wet Cylinder Liner. Our customers can avail from us Wet Cylinder Liners that are developed using superior raw material and latest technology. All our products are casted using a special process of shell moulding and fabricated by centrifugal cast process that assures a quality ridden end product. Furthermore, we have the capability to customize all the products as per the specifications laid down by the clients. Wet cylinder liners air cooled cylinder barrels made from special " shell moulding process" cause wear resisting close grained iron casting and this ensures long life and efficient cooling. We are supplier of high-quality hydraulic system parts, hydraulic power packs & hydraulic cylinders upgrading our systems at every stage to meet the requirements of our esteemed customers.